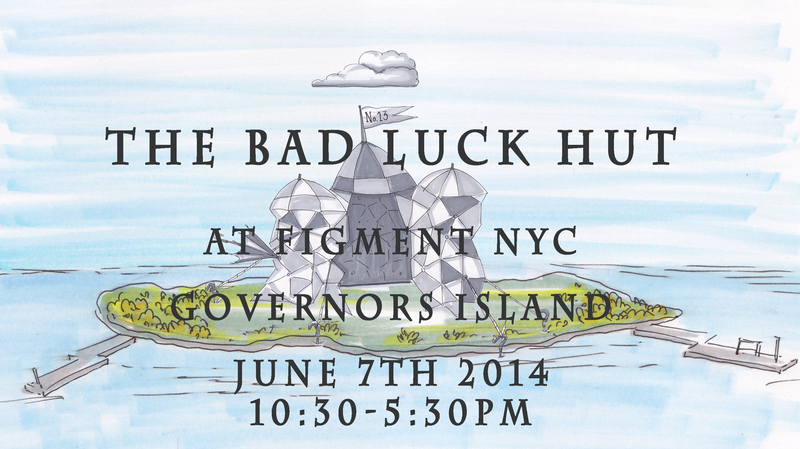 The Bad Luck Hut was a temporary structure constructed by Nicole Antebi and Alex Branch from repurposed umbrellas discarded in the streets of new york city. 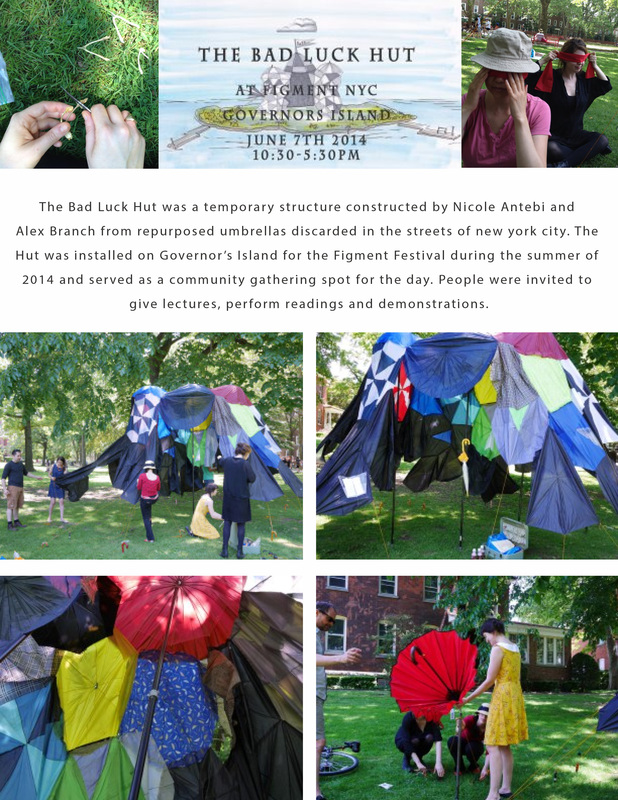 The Hut was installed on Governor’s Island for the Figment Festival during the summer of 2014 and served as a community gathering spot for the day. People were invited to give lectures, perform readings and demonstrations.